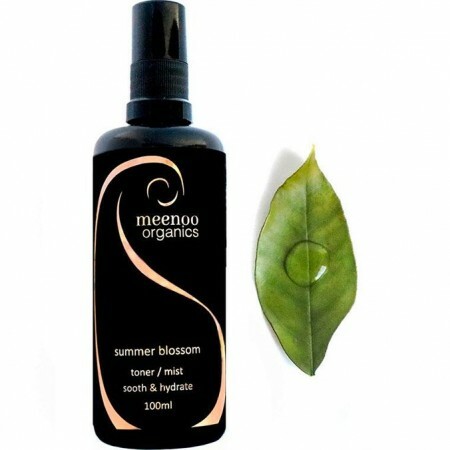 Soothing floral water toner by Meenoo Organics. Calming blend of Rose, Lavender and Geranium hydrosols. Tone and hydrate the skin and restore balance. Apply throughout the day and after washing the face. 100ml. 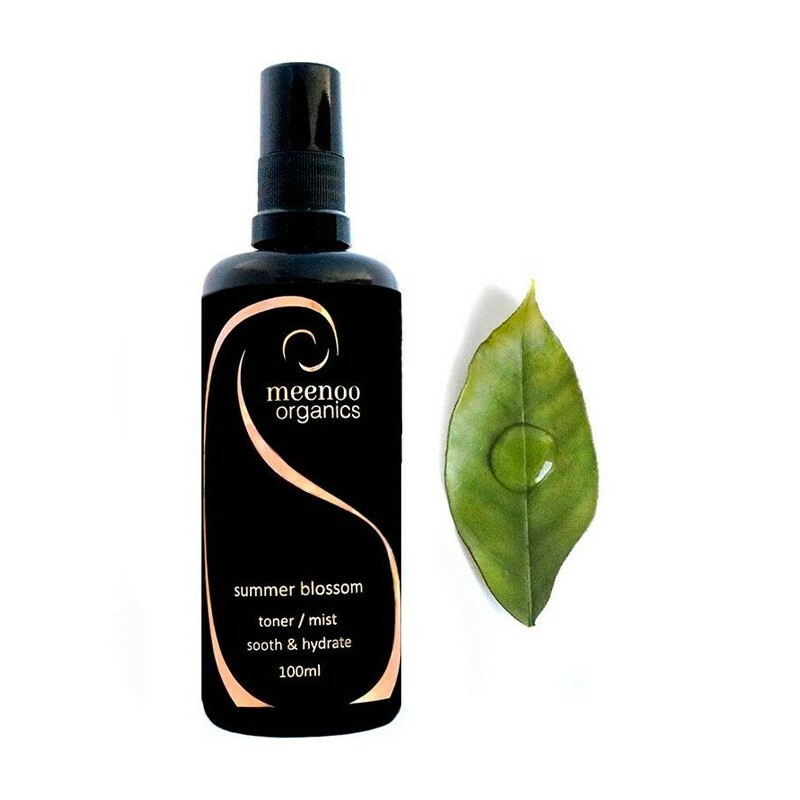 Keep the skin hydrated all day with this luxurious floral mist. Lock in moisture and repair balance after cleansing. Use as a skin mist throughout the day or as a toner. Hydrating blend of Rose, Lavender and Geranium hydrosol. Floral waters are healing, anti - inflammatory, anti - septic, anti-fungal, calming, balancing and uplifting to the skin. 100ml glass spray bottle with plastic lid.